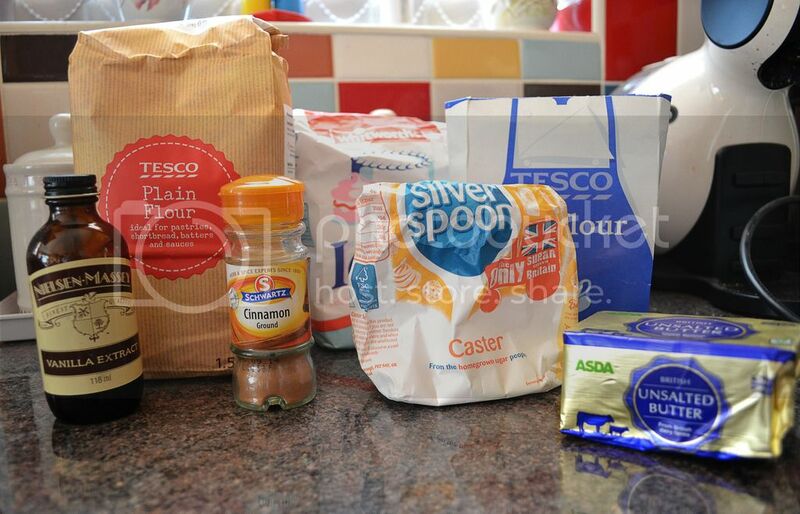 So here it is, my first ever baking post! Baking has been a hobby of mine ever since I can remember, something that seems to run in the family. I get so much joy out of adding my own little spin to original recipes and making yummy treats for others to enjoy (including the dog). I hope I can use baking as a consistent theme throughout my blog as it's something that anyone and everyone can do, and it can be fun, I promise! 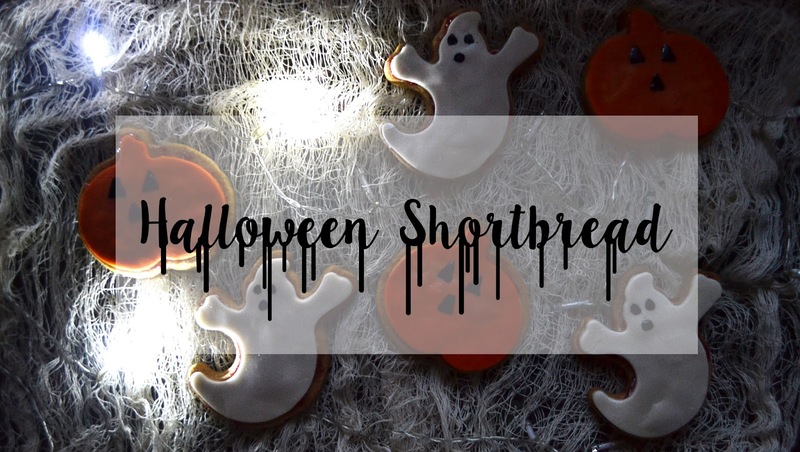 As Halloween is approaching, I thought why not incorporate it into my baking. The original recipe for the shortbread is taken from the "Great British Bake Off: Everyday" but I will write the ingredients, measurements and recipe below, just in case you would like to have a go and haven't purchased the book, although it does have some amazing recipes. *I am not being sponsored to plug this book, I just really love it! I included a dash of Vanilla Extract and Cinnamon in my dough mixture as I wanted it to have more flavour and make them taste slightly more Autumnal, if that's a thing. Cinnamon = Autumn, duh! Adding these extras enabled my biscuits to taste similar to the crumble part of an apple crumble, YUM! Method 1. Preheat the oven to 160°C/325°F/Gas 3. Beat or whisk the softened butter until a smooth and creamy texture. 2. Sift the icing sugar into the bowl and begin to beat, starting off slow (unless you want to end up covered). Beat in the caster sugar making sure to scrape the sides of the bowl to get every little bit into the mixture. Do this until the mixture is light and fluffy. 3. Sift in the cornflour and beat again. 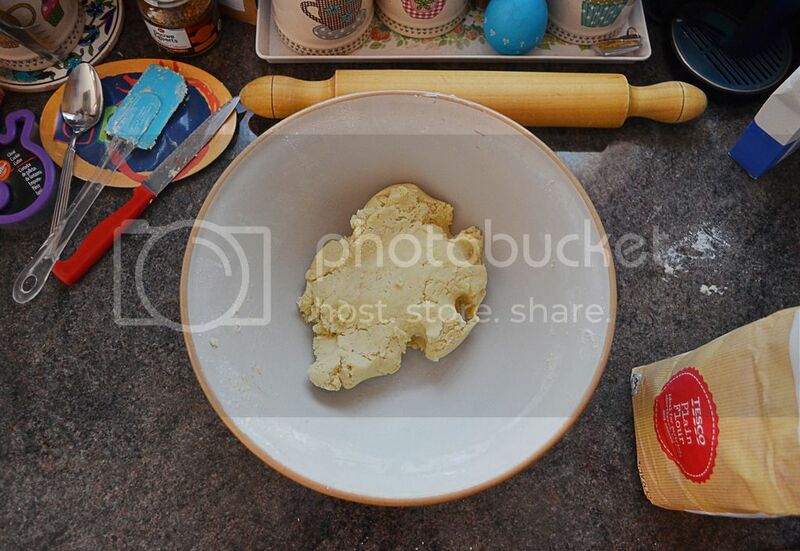 Sift the plain flour in and mix with a spoon (or hands if preferred) until a crumbly mixture forms. This is where you can add any spices or extras you would like to incorporate into your mix. 4. Using your hands, bind the mixture together into a dough and sprinkle extra plain flour onto whatever surface you are working on. 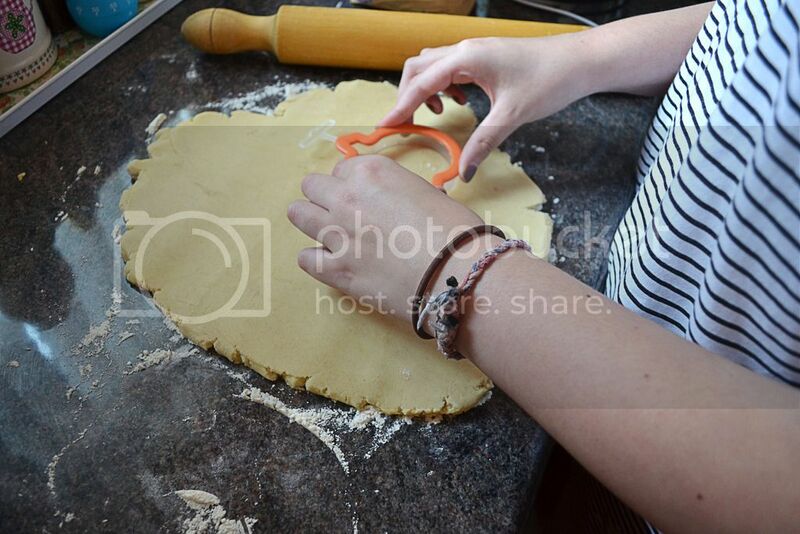 Roll out the dough to your preferred thickness and use your cookie cutter of choice (mine are £1 from Hobbycraft) to cut out the shapes and place onto a non stick/greased baking tray. Bake in the oven for 35 minutes-ish until the shortbread is slightly golden. Now onto the bit I'm bad at, decorating! For the icing, I decided it would be easier to purchase fondant icing that you just have to roll out, rather than attempting at making it myself! 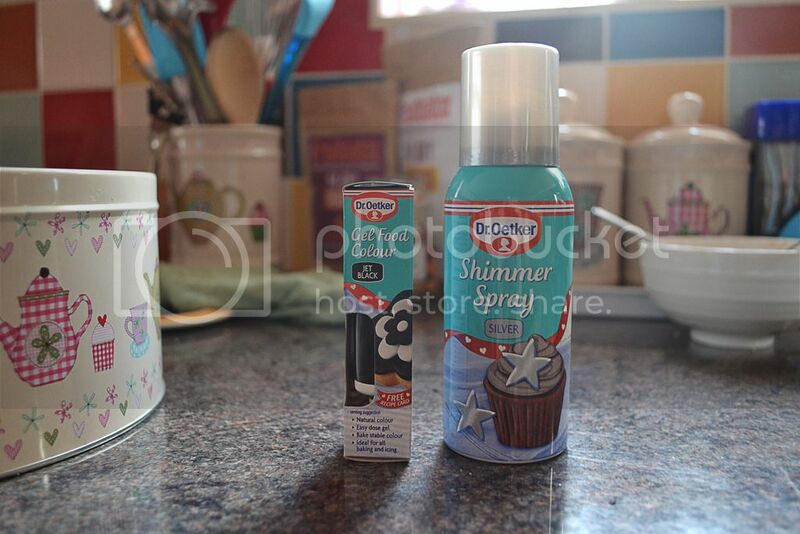 I used the 'Renshaw Ready To Roll' icing which I found in Hobbycraft. All I did was roll out the icing onto some icing sugar, to prevent it sticking, cut my shapes out using the cookie cutters again and stuck them down to the shortbread using jam! Jam makes everything much tastier when it comes to baking and I liked the "bloody" effect it gave, because you know they are Halloween biscuits and all. Nutella or any other spread would work just as well though! 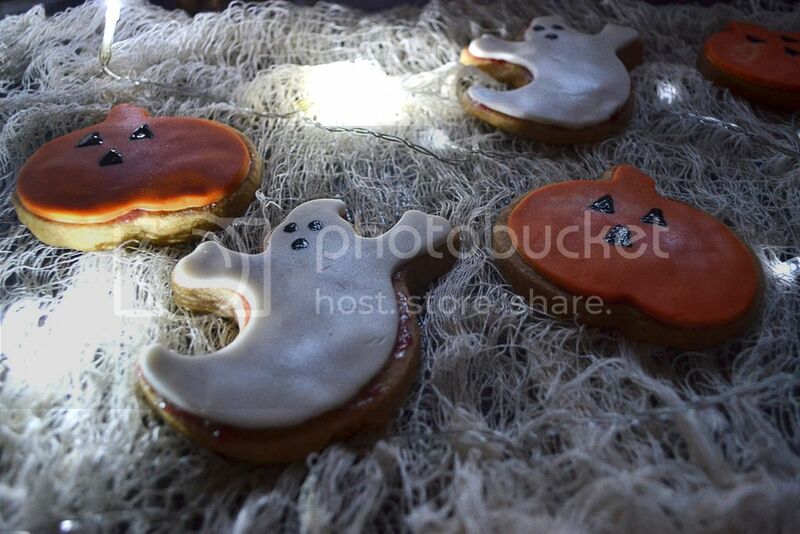 Once the icing was on the biscuits, I went ahead and gave the ghosts and pumpkins a bit of character by drawing on some faces using Dr. Oetker Gel Food Colour and Shimmer Spray, just to liven them up a bit! 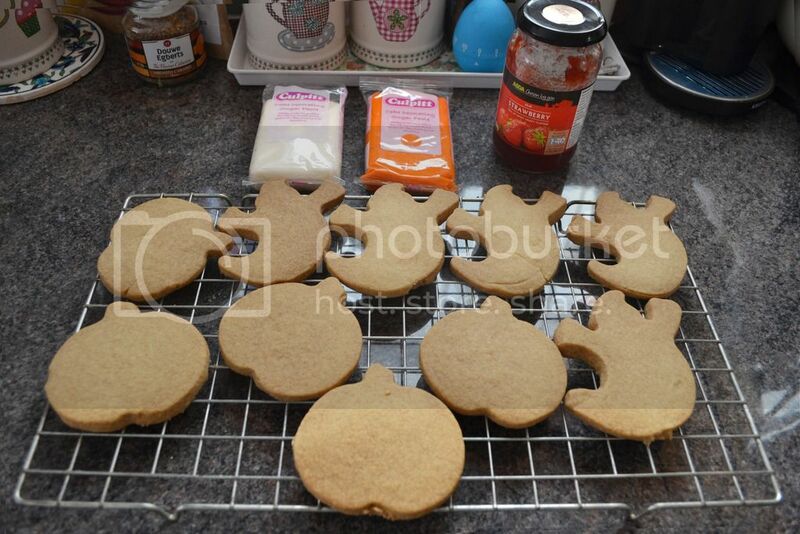 Will you be baking any Halloween treats this month? Kat these are adorable! I was thinking about doing a Halloween baking post and this post is getting saved right into my inspiration folder. You seem to make significantly less mess than I do though haha. 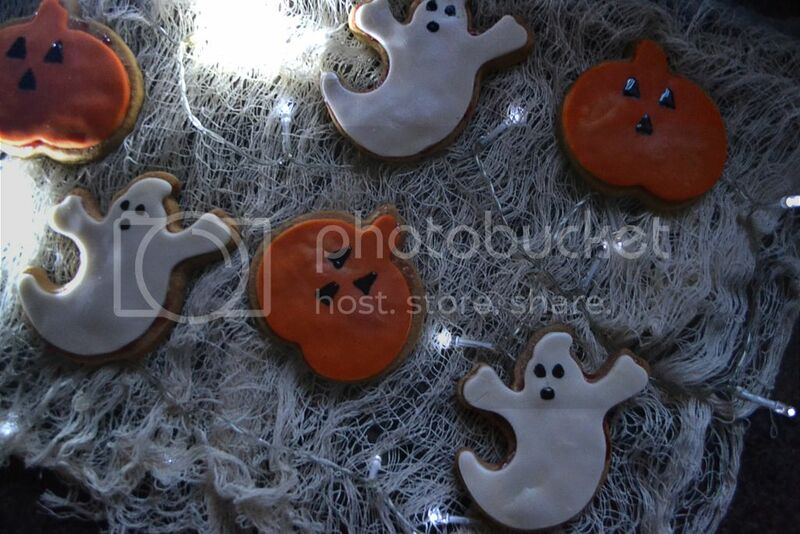 These look so cute, I love the little ghosts especially! Thank you, they're my favourites too! These look too cute, I'm also obsessed with shortbread so I'll definitely have to give this recipe a try! These are so cute!! I'm definitely going to have to try it out! Thank you!! I'm really trying to work on my blog photography so that means a lot. 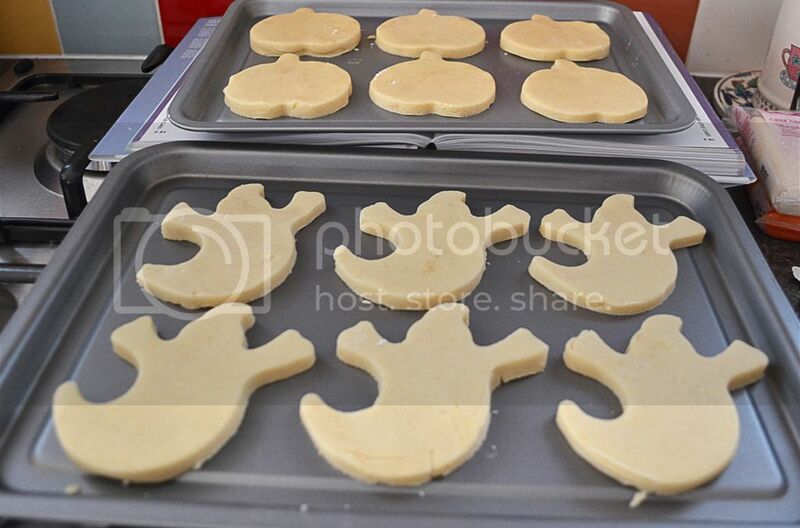 These are the most adorable Halloween cookies I've ever seen! I bet they taste delicious too! Love the icing, shimmery spray & decorating you've done hon. These are gorgeous! You're so welcome! Thank you so much, your comments always make my day. Soo cute you make it look so easy though. 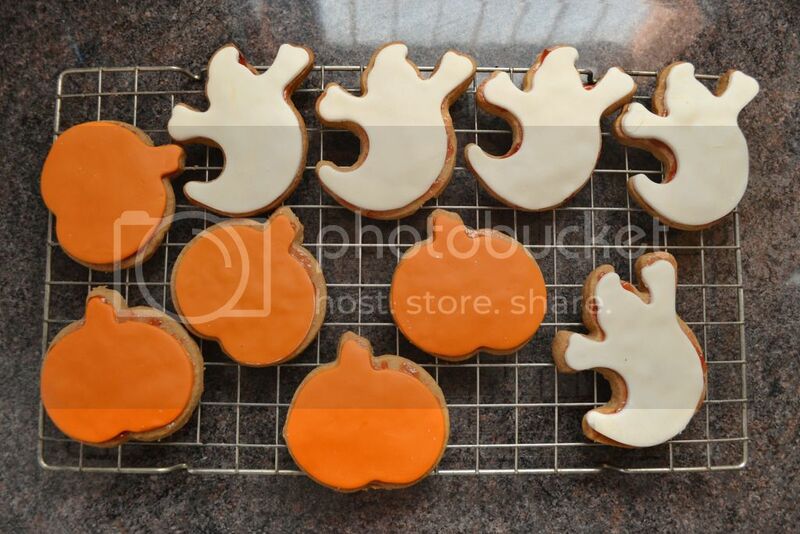 Really want to try theses for Halloween now I'm hungry. Omg Kathryn, how can you make shortbread look so adorable?! I'm absolute rubbish at baking, but I'd try this just because they look so good! Loving the photos, too!